And we are back with yet another edition of awesome car and SUV imports that are in the country. Lots of drool-stuff inside. The Dodge Challenger is in the news currently, for all the right reasons. Dodge has come up with a mad drag special variant of the Challenger, called the Demon which is something all the enthusiasts have been waiting for. This one however is the more modest SRT version. The vehicle has been brought here on CARNET and features Dubai plates. Power comes from a 6.4 liter V8 that produces 485 Bhp and 644 Nm. This comes mated to either a 6-speed manual transmission or an 8-speed automatic gearbox. 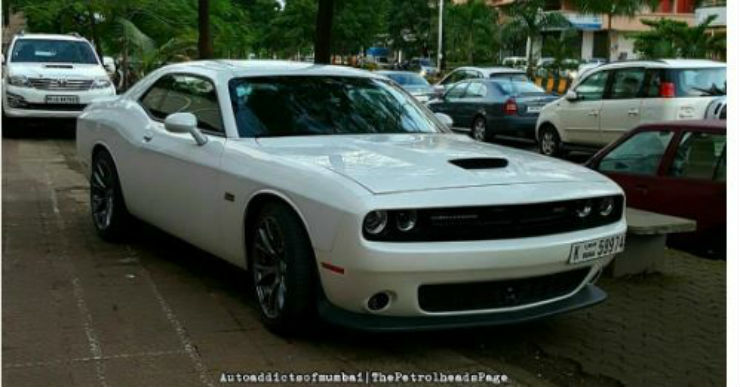 Sadly, the Dodge brand doesn’t exist in India and the brand doesn’t make the Challenger in right hand drive format, so buying one in the country is a tough job. However you could privately import a converted vehicle. While this does look like ‘Elanor’, the famous Mustang in the Gone in 60 seconds movie, this is a GT500 CR. The vehicle is a 1967 model year. The CR here stands for Classic Recreations. It is a licensed company which has the authority to build 1966 and 1967 continuation vehicles. This one is based on the steel Mustang body and not on the GT500 one. It is given a modern make over with coil over suspension, cross drilled brakes, a 7.0 liter petrol engine making 545 Bhp mated to a 5-speed transmission. The 300C is a ‘gangsta’ car. This particular one is the new generation one, which was produced between 2004-2010. While this vehicle was produced to take on the Mercedes E Class, Audi A6 and BMW 5 Series, the people who opted for one were more of the sorts who wanted to make a loud entry. Engines ranged from a modest 2.7 liter V6 to a 5.7 liter V8 HEMI. 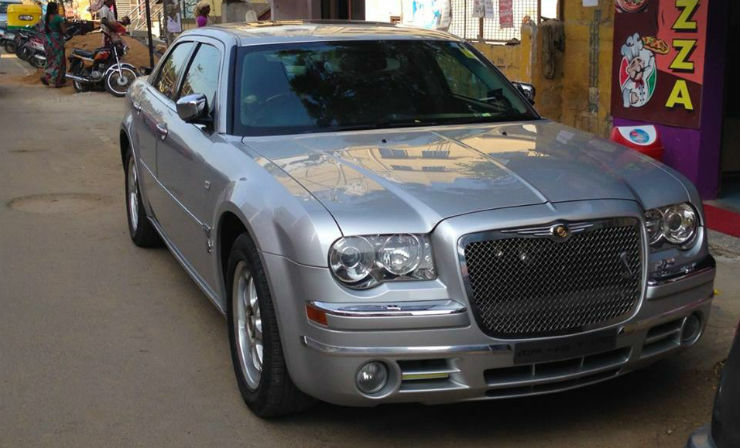 The 300C was never officially sold in the Indian market, however there are a lot of private imports which have made their way here. The STS here stands for Seville Touring Sedan, which is the replacement for the Seville line of cars that Cadillac was previously making. This one is the newer 2007 model year. 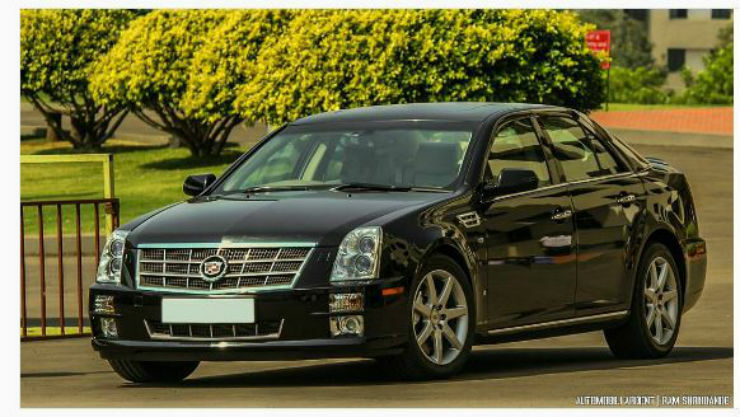 The STS came with 2 engine options, a 3.6 liter V6 and a 4.6 liter V8, making 321 Bhp and 427 Nm. 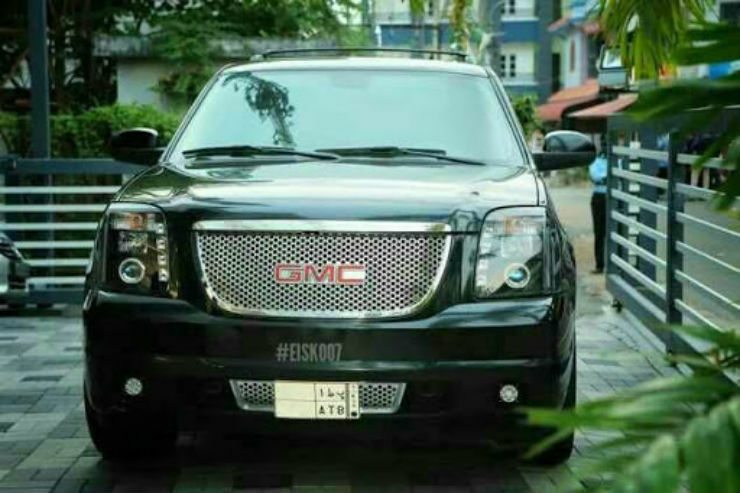 The Yukon is GMC’s full-size SUV. It is based on the Chevrolet Tahoe and can also be had in a XL form. This one is the normal one however and was spotted in Kerala. The vehicle is LHD and is here on CARNET, hence the plates. This is the second generation model which was on offer between 2008-2013. This one features aftermarket projector lamps too. The Yukon came with 3 petrol and one hybrid engine option. The petrols were either a 4.8 V8, a 5.3 V8 or a 6.2 V8. The hybrid was based on a 6.0 liter V8.